Please watch the videos in the first option below. WHAT IS TOUR PASS AND WHEN IS IT ACTIVATED? Tour Pass is a all-access mobile pass that you present to area tours and attractions which admits the purchaser into a multitude of Charleston, SC or Savannah, GA’s top tours/attractions with no additional fees….admission is included. You must purchase a separate pass for each city. A Charleston Pass won’t work in Savannah and vise versa. Choose your pass duration: 1, 2, 3, 4 or 5 days. After purchase, you instantly receive a text message and email that contains your Mobile Pass which is used on your smartphone. Simply present your Mobile Pass on your mobile device at the ticket window where they will scan your code. Pay nothing at the gate! Depending on how many days purchased, each pass has a limited number of “featured” tours/attractions, plus you can choose as many as you wish from the “Walk-in” category. Reservations are required for most the featured category tours which is easily done within your mobile pass which works on all mobile phones. You can visit tour/attractions from the Walk-in category anytime they are open, no reservations needed….simply present your mobile device which will display your unique Pass ID number at the gate. Featured Tours/Attractions: Are typically guided tours that depart at specific times such as: Carriage Tours, Harbor Tours, Historic Walking Tours, City Sightseeing Bus Tours, Plantation Tours. Walk-in Tours/Attractions: Do not require reservations (such as a museum) and you can visit as many of these tours/attractions 1x per person while pass is active. HOW DO I CHOOSE ACTIVATION DATE? After purchase you can select an activation date. For multi-day passes (2, 3, 4 or 5-day) you have 10 days after activation to use your days. For example, if you purchase a 3-day pass and activate it on October 1st, you must use your 3-days on or before October 10th. Tour Pass is NOT a discount card and includes full admission to whatever attractions you choose. DIFFERENCE BETWEEN FEATURED & WALK-IN ATTRACTIONS? Featured Tours/Attractions: are typically timed tours that require reservations. Reservations are easily made within the Mobile Pass you’ll receive. Number of Featured tours/attractions allowed is determined by pass duration purchased. See table below. Such as carriage, harbor, bus and walking tours. Walk-in Attractions: are places that don’t require a reservations. A museum for example can be visited anytime during their operating hours. You can visit as many places in the Walk-in category as you wish for the duration pass you purchase. Such as museums, parks, historical sites, breweries, wineries and restaurants. DO I HAVE TO MAKE RESERVATIONS FOR TOUR/ATTRACTIONS? Depending on the number of day pass purchased you will have to make reservations for your Featured tours. This is easily done from within the Mobile Pass which is connected to the featured tour company’s booking calendar. Admission is included for all bookings. You will not be charged again after you purchase Tour Pass. HOW MANY FEATURED TOURS DO I RECEIVE? Featured Tours/Attractions: are typically timed tours that require reservations. Reservations are easily made within the Mobile Pass you’ll receive. Walk-in Attractions: are places that don’t require a reservations. A museum for example can be visited anytime during their operating hours. WHAT IF ALL FEATURED TOURS ARE BOOKED? 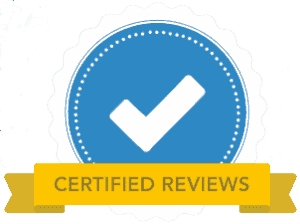 If in the rare circumstance that you could not book the featured tours that you were hoping for then contact us and we’ll refund your pass…no questions asked. As long as your pass has not been activated and is within the 6 month since purchase window. CAN I BOOK MY FEATURED TOURS BEFORE ARRIVING? Yes. After you complete your purchase of Tour Pass, you choose the activation date which can be the same day or six months from now. You can then reserve or books reservations for dates that are on or after the activation date chosen . IS THERE A LIMIT REGARDING HOW MANY ATTRACTIONS I CAN VISIT? 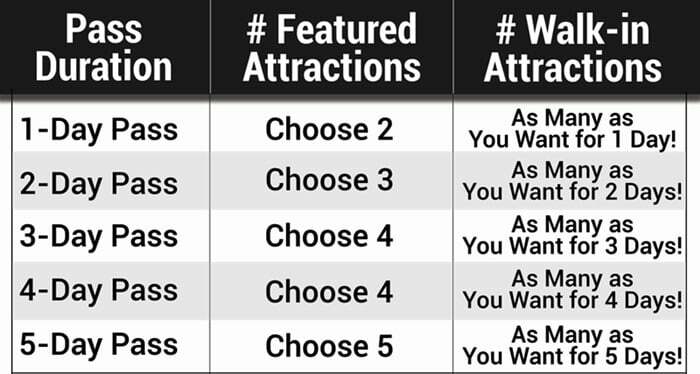 Pass duration determines how many Featured attractions that you can visit. An unlimited number of Walk-in attractions can be visited regardless of pass duration. For example, if you purchase a 1-Day Pass you can choose 2 featured tours and an unlimited number of attractions from the walk-in category. You can only visit each attraction 1x per person on the Tour Pass. HOW DOES THE MOBILE PASS WORK? It’s super easy to use. Once you complete purchase you will instantly receive a text and emil with a unique link to open your Mobile Pass (Pass is used exclusively on your mobile phone). When you click the link it will open a mobile browser which will then allow you to book your “Featured Tours” and plan your vacation. Watch video below for a quick demonstration. Book your featured tours directly within your Mobile Pass. Once booked, you will receive instant email confirmation of the booking for each featured tour. Detailed attraction information that includes a description, hours, map, directions, website and click-to-call. Map that shows where you are located and where all of the attractions are so you can visit what’s closest. HOW MANY PEOPLE CAN BE ON ONE PASS? Each person needs to pay either an adult or child pass price. You can purchase one pass can have up to 10 adults and 10 children per pass. A family for instance would purchase one pass, add 2 adults and 2 children all on one pass which can be presently at each attraction where they check everyone on the pass in at once. No need to fumble with printed tickets…Tour Pass is very simple to use. ARE THE PASSES ACTIVE FOR CONSECUTIVE DAYS? They can be used on consecutive days or non-consecutive days. Once your pass is activated (you choose the activation date after purchase), you have 10 days from the activation date to use your days. If you purchased a 3-day pass and begin on a Monday (active day #1), you can go to the beach on Tuesday, resume touring on Wednesday (active day #2), visit with family on Thursday and resume touring on Friday (active day #3…pass expires at Midnight). All visits must occur on your active days. Days are counted as calendar days…not 24 hour periods so it’s best to start in the morning. After purchase, you have up to 12 months to use your pass. After you choose the activation date. you have a 10-day window to use your days. For instance, if you purchase a 3-day pass and activate it on October 1st (active day #1), take a few days off, resume touring on October 5th (active day #2), take a day off and use your last day on October 7th (active day #3…pass expires at Midnight). Pass features such as the map and landmarks locations will still work until October 10th although you won’t be allowed entry to attractions. CAN I SHARE MY PASS WITH ANOTHER PERSON? Yes you can share, however each attraction can only be visited 1x per person on the pass. Tour Pass can be purchased for multiple persons. For instance, one tour pass can be purchased for up to 10 adults and 10 children on one pass. Attractions are required to check Tour Pass users in upon entry. When you present your mobile pass to participating attractions they will ask for your unique Pass ID number which can be viewed upon opening your mobile pass. The attraction will check-in however many people are present. If for example your pass were purchased for 2 adults and they check-in 2 adults, then that attraction will not allow re-entry in the future since each attraction can only be visited one time per person. In this example the Parents purchased one 3-day Tour Pass for four adults. They are taking their Daughter and Son-in-Law on vacation and wanted to pay for the Tour Pass. The Parents could share their mobile pass link with their Daughter. The Parents could do what they want to do while their Daughter and Son-in-Law could also visit separate attractions they want to see at the same time. The Parents could visit a Museum which would only check-in 2 of 4 available adults on that pass which would allow their Daughter and Son-in-Law to visit the same Museum at a later time….even on a different day. They could meet-up for lunch….then split-up again and so forth. Tour Pass is very flexible. HOW OLD DO YOU HAVE TO BE FOR THE CHILD PASS? Child passes can be reserved for children between the ages of 4 and 11 years old. Children who are 3 and under are admitted for free into many tours and attractions. Anyone 12 or older will need to purchase an adult pass. IS IT SAFE TO ENTER MY CREDIT CARD INFO ON THIS SITE? The site has a valid SSL (secure-socket-layering) web address which can be visually authorized by glancing at the web address bar above and noticing that our address begins with https (secure) and not http (unsecure). Transactions are processed through Authorize.net, the leader in internet secure transactions. WHAT IS THE FEATURED TOURS REFUND AND RESCHEDULE POLICIES? All featured tours/attractions that require scheduling on Tour Pass have their own individual refund and reschedule policies. They can be viewed on the bottom of each tour/attraction page viewed under the “Included Tours/Attractions” menu item. To be safe, please cancel or reschedule your tour/attraction within 24 hours of the selected start time. No-shows will not be refunded by any tour company. To dispute, please call or contact the appropriate tour/attraction directly. Tour Pass has no authority to authorize policies set by its Vendors. If you activated your pass then no, all sales are final after that point. However, if you purchase a pass and don’t activate it, then you can get a full refund within six months of the purchase date. No hassle….no questions. Hop on hop off buses are provided for free by the City of Charleston’s DASH Shuttle Program. There are 3 routes that go all over Charleston and stop at each bus stop every 10-15 minutes. Here’s a map you can print and use. The black dots are bus stops. All bus routes intercept at the Visitor Center located at 375 Meeting Street. 80% of all attractions on Charleston Tour Pass are located within downtown Charleston.